Danielle Saint Lôt is founder of the Danielle Saint-Lôt Haiti Women’s Foundation, a U.S.-based 501c3 organization with a one-year signature program, Haitian Women’s Business Academy. The non-profit advances programs to empower Haitian women, advocate for the missing middle, and grow the creative economy. 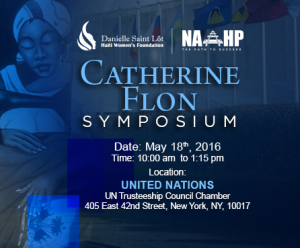 She also serves as Ambassador at Large of the Republic of Haiti for Women’s Empowerment. She is a Founding Partner of Caribbean Business Consulting (CBC). She is a member of Vital Voices’ Global Advisory Council and serves as a member of the Coca Cola Company’s Steering Committee for the Haiti Hope Project, which supports mango farmers. 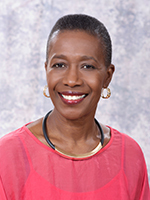 She is a member of the Advisory Council of the National Association of Haitian Professionals and has also join the Advisory Council of the Biennial of the Americas. Her career has primarily focused on promoting women’s rights and business development in Haiti. Previously, she was Minister of Tourism and has the distinction of having been Haiti’s first female Minister of Commerce and Industry. Additionally, she served as Executive Director of the Chamber of Commerce and Industry of Haiti. Ambassador Saint Lôt is co-founder of Femmes en Démocratie, the Haiti Chapter of Vital Voices Global Partnership, which honored her with a Global Leadership Award. In 2010, she had the privilege of ringing the NYSE bell. Among her many accolades, she is a recipient of the DVF Awards by Diane von Furstenberg and the Diller-von Furstenberg Family Foundation, which honors extraordinary women who have had the courage to fight, the power to survive, and the leadership to inspire. Ambassador Saint Lôt holds a Bachelor of Arts in International Relations from the Haiti National Institute for Management and International Relations and earned a degree in International Economic Relations from the Institute for International Public Administration of Paris, France. She is the granddaughter of Haiti Ambassador Emile Saint Lôt, who at the birth of the United Nations in 1945 served as Haiti first UN Ambassador and as a member of the Security Council. He is credited with casting the deciding vote to make Israel a state in 1947.